This USB drive is preloaded with all past issues of the Bentson Copple reSource (over 35 issues). Simply plug the USB drive into your computer and quickly read all previous issues of the newsletter. You will have the ability to navigate by subject, view an overall listing of previously published articles, or browse by publication date. From marketing advice to financial insights, the Bentson Copple reSource focuses on the topics that are important to today's orthodontists, their practices, and their future endeavors. Each issue of the Bentson Copple reSource features articles, interviews, and commentary contributed by prominent individuals from within the orthodontic industry. 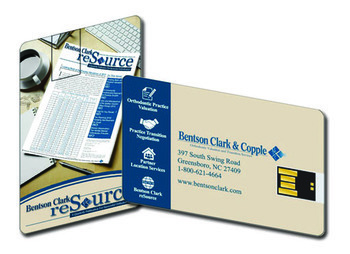 The Bentson Copple reSource is solely business oriented and does not include clinical information. It is the only quarterly newsletter written exclusively for orthodontists.